Looking for a VoIP PBX with direct ports for connecting standard analogue phones? This appliance from Yeastar is the ultimate small business PBX that allows the use of existing analogue phones and IP phones together. 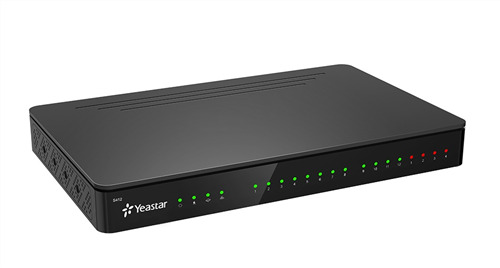 The Yeastar S412 is a flexible and modular VoIP PBX that provides a productivity-enhancing communication platform. It packs powerful technology into a compact chassis, enhancing the productivity and communication of any small business whether they are currently using an analog system or VoIP. 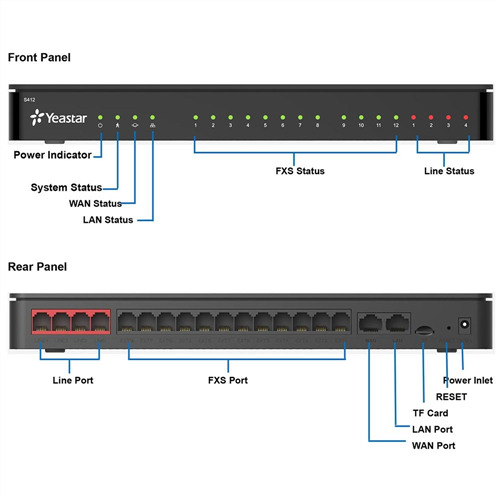 S412 is pre-configured with 8 FXS ports and is customizable with 4 module slots, which allows flexible combinations of FXS, FXO and BRI interfaces (with add on cards). The S412 supports up to eight VoIP users and eight concurrent calls. On premise, hardware IP PBX, without any license fees (support and software upgrades for life are included in the initial purchase). Automatically provision phones from Yealink, Panasonic, and more. This PBX offers a compact yet powerful analog and VoIP capable system for small business.